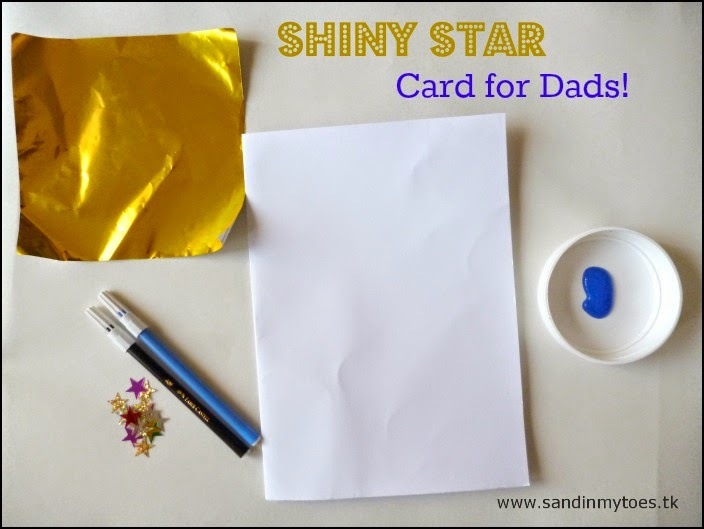 It was my husband's birthday last week, and this year, I really wanted Little Dude to make his own card for Dad! 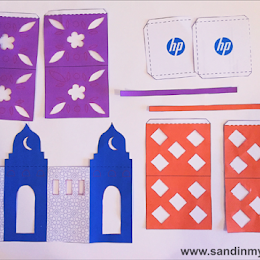 My toddler was definitely excited about making something for him, so I wanted to make it simple. 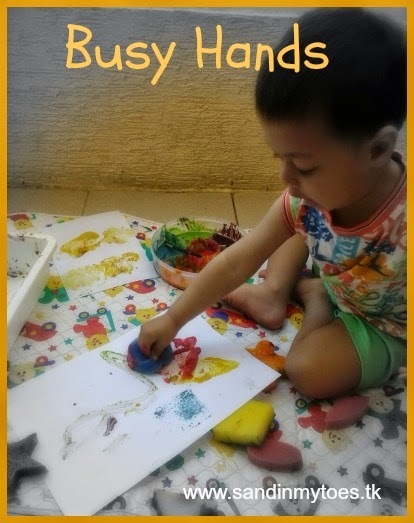 Our card uses only a few materials and can be made by a toddler (with help) or older kids. 1. 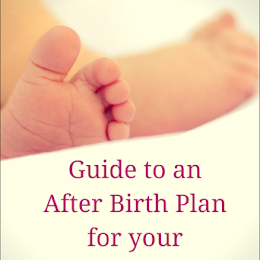 First, fold a rectangular piece of the card into half. 2. Paint about two-thirds of the front in blue. 3. 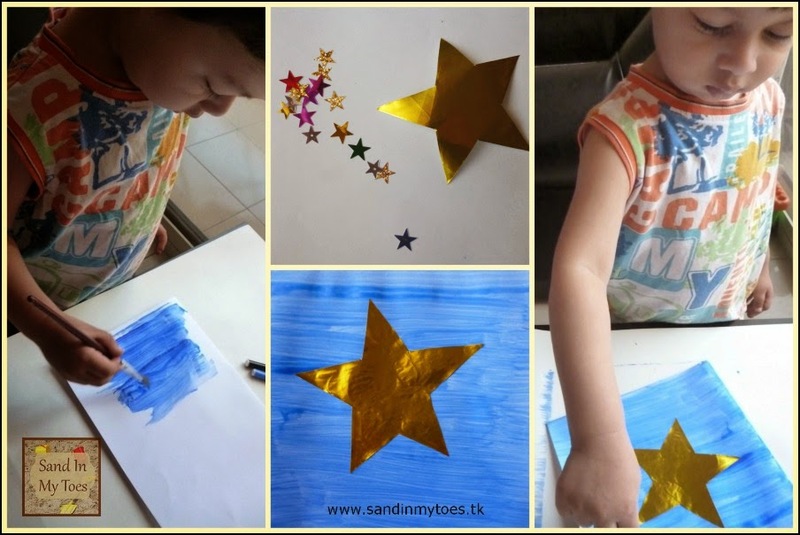 While the paint dries, cut out a star shape from the golden foil or metallic paper. 4. When the paint is completely dry, stick the golden star in the middle. 5. Stick the smaller stars around it. 6. 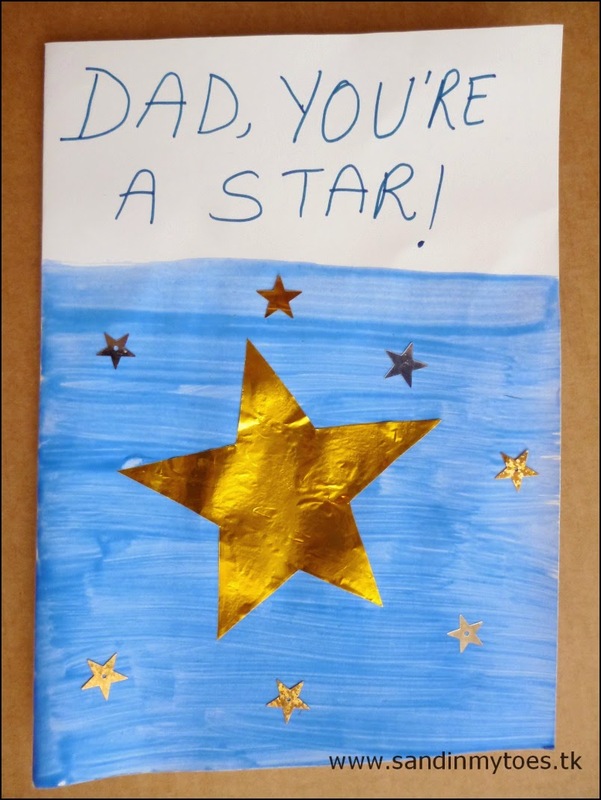 You can put in any message you like on the outside, but we went with: DAD, YOU'RE A STAR! We put a personal birthday message inside, complete with a handprint from Little Dude. Dad loved it, as he did his surprise cake! 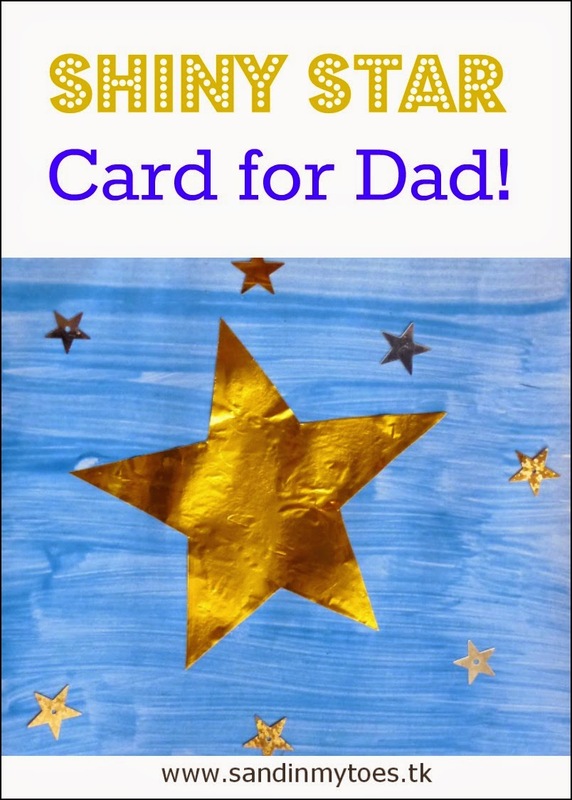 This card would also be great for Father's Day. 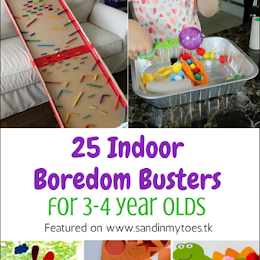 The best part is that it's easy for kids to make, which makes it all the more special! A beautiful card. For Fathers day, I got my little one year old to draw on a card for my husband. He loves it so much. Lovely simple idea. Makes a great birthday card. So lovely, I think handmade cards are the best ones.